Homeowners continue to embrace natural materials when they’re designing interiors. The choices available tend to be from the three families of stone — igneous, sedimentary, and metamorphic. Catering to diverse consumer tastes is why it’s so important that your container holds a wide range of slabs, and natural stone options that include granite, marble, quartzite, limestone, slate, and sandstone. Each one of these materials can be used to make a striking design statement in the home, but pointing homeowners to the right choices for each application is important. Granite countertops, of course, have become a de facto part of any kitchen remodel. This igneous stone has many qualities that make it ideal for the busiest room in the home, including durability, resistance to stains, and its ability to handle heat. Add in the fact that there are seemingly endless granite colors and it’s little wonder this natural stone has become a focal point of so many kitchens. Granite countertops, however, aren’t the only choice that boast enduring appeal. White marble, a metamorphic stone with a rich history, has been a natural stone that is prized for its colors, veining, and natural esthetic. While not as durable as granite, it is valued by many home pastry chefs as a countertop choice. It is also a popular choice in the master bath, where it helps create a high-end, spa-like atmosphere. Another metamorphic stone, one that is very durable, is quartzite. Slabs of this natural stone can be absolutely stunning and its ability to resist scratching, staining and chipping is remarkable. 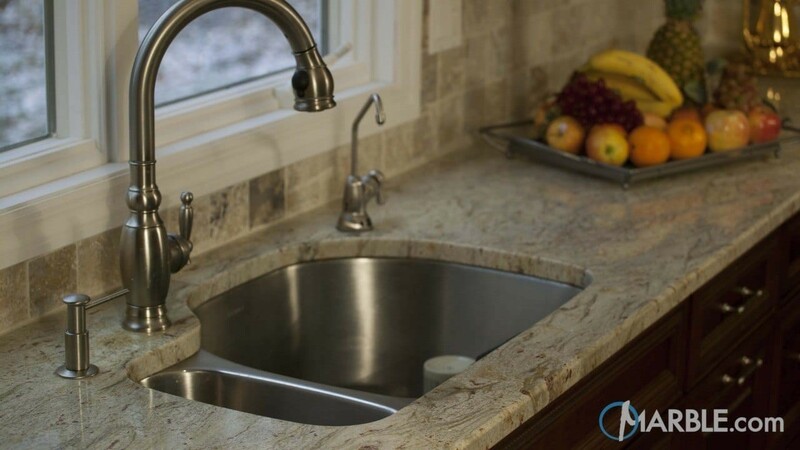 Don’t be surprised when your customers ask to see what quartzite countertop options you offer, as more and more people are discovering the beauty and practicality of this natural stone. And don’t be caught short — make sure your container has a wide variety of natural quartzite slabs available. Classic white quartzite, for example, is a natural stone that has broad appeal. 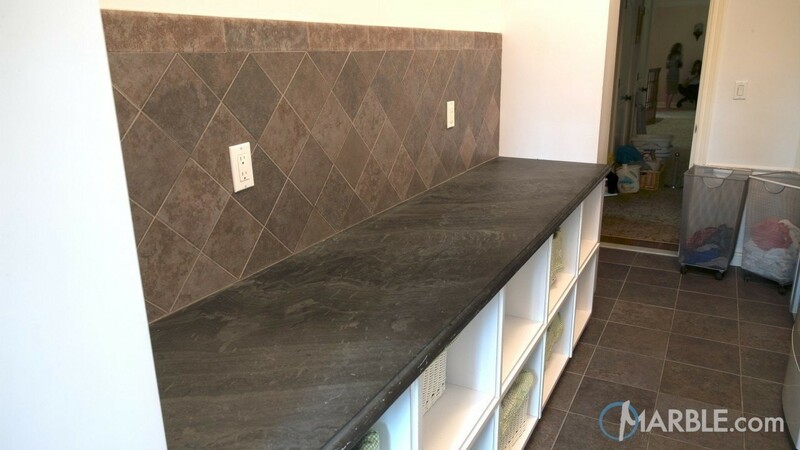 Slate is another natural stone in the metamorphic family, and while it’s not a terrific choice for kitchen countertops, it can be a good option for areas that have less traffic and use. Its texture imparts a natural feel to any room and while it can be easily stained, many people believe that age and wear can actually improve its appearance. It does not, of course, offer extensive variation when it comes to color and overall appearance, but slate is a smart option to carry in your slab yard, demonstrating your commitment to offering all kinds of choices. The sedimentary rock family includes limestone and sandstone. While limestone countertops are not recommended for frequent use, high-traffic areas like kitchens — they stain easily and are not especially durable — they do lend an earthy, organic vibe to rooms. Consumers who appreciate that esthetic often consider limestone as a natural stone that accents other choices in the room. Again, having a slab yard full of many stone colors will go a long way to positioning yourself as a retailer who offers the kind of variety today’s homeowner demands. What is exciting for the natural stone industry is that homeowners are turning, more and more, to materials that come not from a factory but from the earth. Natural stone helps connect people to the world around them, even when they are cocooned in their home and surrounded by modern technology and conveniences. The natural stone industry is constantly evolving, and keeping up with changing consumer tastes means maintaining a slab inventory in your container that can appeal to a broad cross-section of people. Granite and marble, quartzite, slate, sandstone, limestone, travertine — carrying all the natural stone choices is an essential ingredient for success.